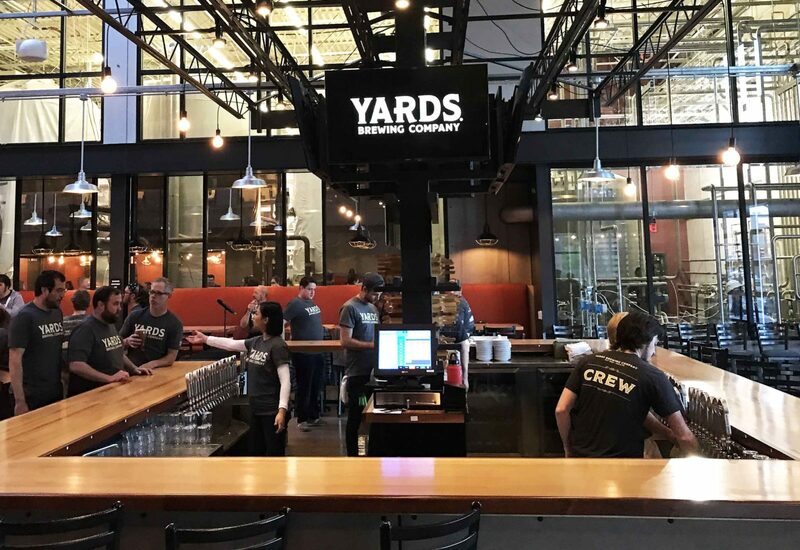 Just before Thanksgiving this year, award winning Yards Brewing Co – the oldest and the largest beer brewer still in the city of Philadelphia, opened it’s new tap room at 5th and Spring Garden Streets. 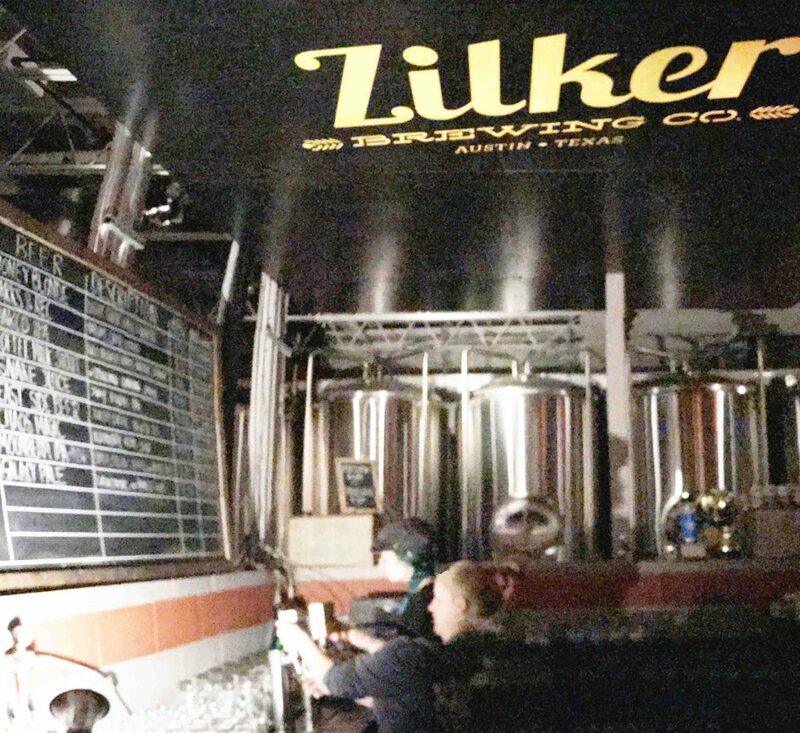 The new taproom sits at the corner of Yard’s new 70,000 square foot state of the art brewery. While the brewery is not yet production ready, the taproom certainly is – as are all the wonderful Yards beers available there. Attached to the airy and expansive tap room is a separate room officially called “the Brewers Lounge” with pool table, dart board and TV’s. Some of the staff jokingly call it “Tom’s Garage” as it is approximately the size of the entire original Yards brewery started in Manayunk in Tom Kehoe’s own garage back in 1994. Ironically, but not surprisingly, his first commercially successful beer brewed in that original location – “ESA” won a medal at 2017’s Great American Beer Festival again this year in the prestigious ESB category. 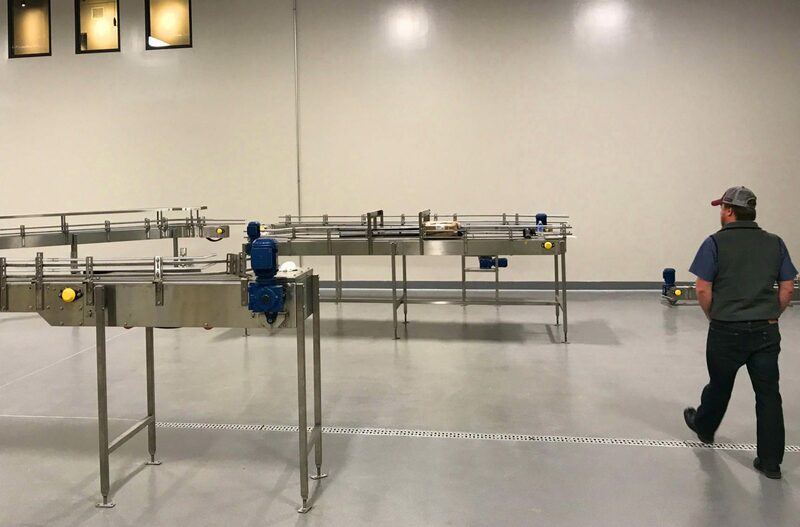 The new brewery will offer visitors to the tap room a view of the bottling line in action, and as well special automated yeast handling equipment that looks like a mad scientist’s laboratory. The beer will continue to be brewed at the old Delaware Avenue facility until sometime this summer, when the huge new brewery is expected to be in full operation – it has the capacity to brew 100 barrels with 12 turns in a 24 hour period. 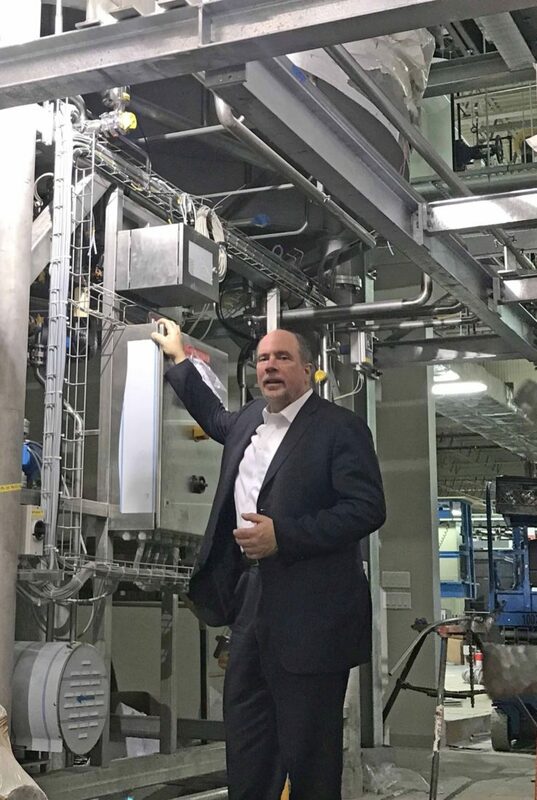 “We don’t plan to produce that much, certainly not at first, but it is tested and configured to work at that capacity” commented Franklin Winslow, Yards’ Director of Quality Assurance. “The German custom made brewhouse and equipment are as state of the art that there is”. And Yards isn’t that concerned that they are opening their expanded facility at a time when craft beer growth has started to plateau – with many mid tier players feeling a significant pinch in revenue. Yards is counting on their local ties, local market and deep roots with local distributors, retailers and tap handles in and around Philadelphia. Yards’ strategy of staying deep and local – not expanding rapidly nationwide like some other craft breweries appears to have proven to be wise. 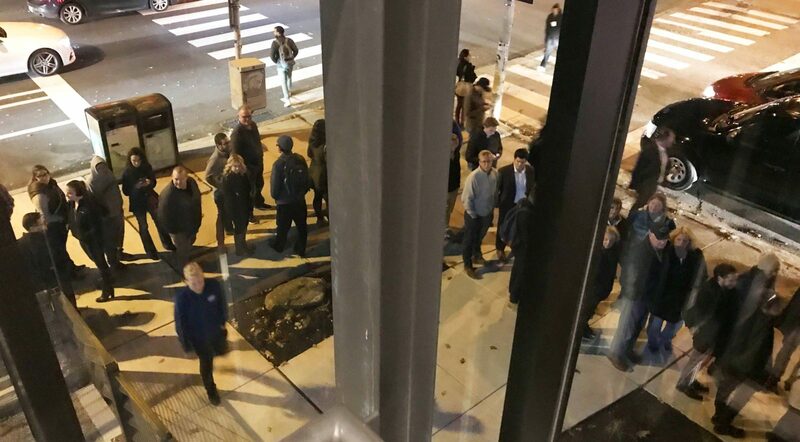 Yards truly is real, authentic Philadelphia, and you can believe Philadelphian Tom Kehoe when he says: “Since we opened we found that humility, loving what you do and working hard are great foundations for a brewery, and since day one our focus has always been on the beer – to make the best beer possible…”. 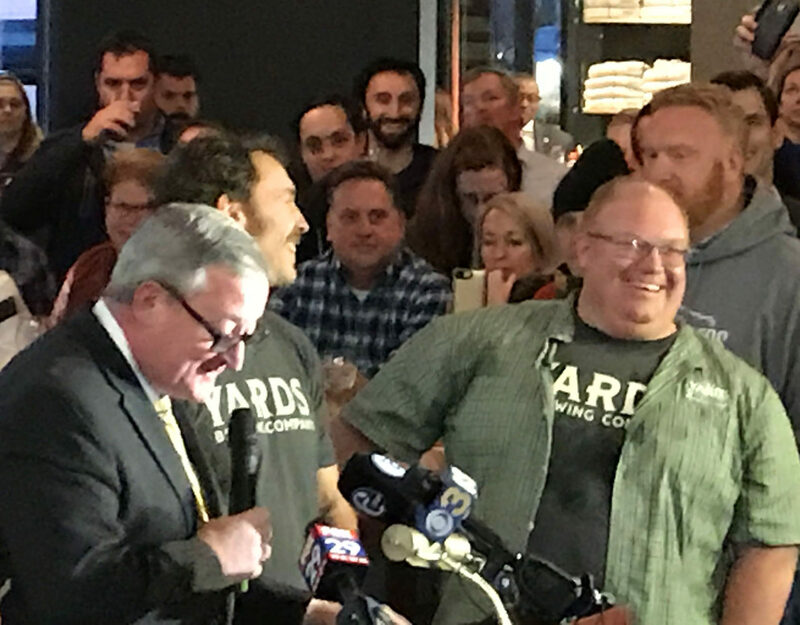 Tom wrapped up his opening night speech by raising a glass in thanks to his employees who helped him make Yards successful and enabled the creation of this magnificent “Philly’s Own Brewery”. Be sure to visit the new tap room, hoist a “Philly Pale Ale” and enjoy a great new example of what makes Philadelphia the best beer drinking city in the US.